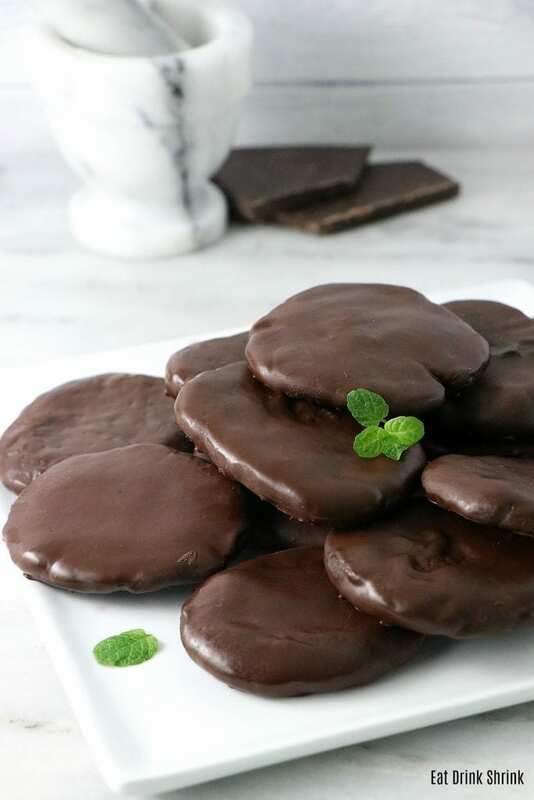 Vegan Whole Wheat Thin Mints - Eat. Drink. Shrink. I honestly have a myriad of other recipes I could share today, but this recent one blew me away for many reasons. I’m personally not a “mint” person. I don’t crave the flavor and just don’t find it satisfying. However, we all grew up on Girl Scout cookies and the classic Thin Mints were loved by all, including myself. You could keep them in the freezer and enjoy throughout the year or for however long they lasted lol. 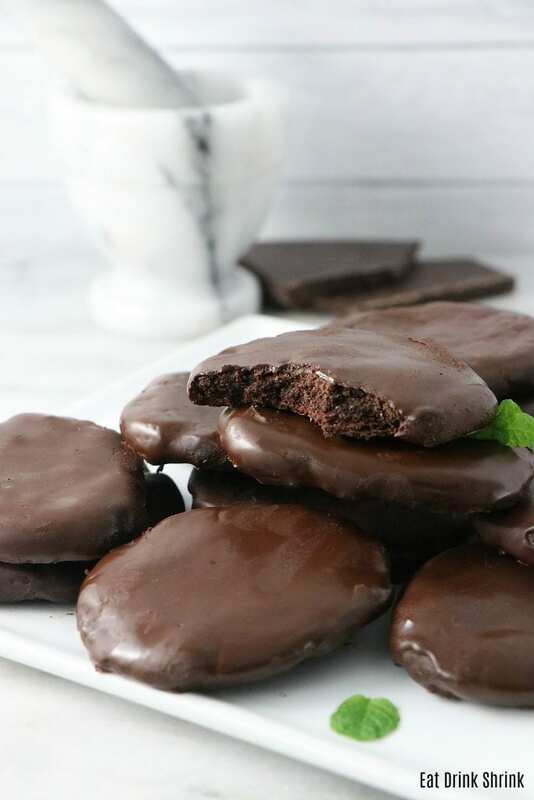 Today with the latest recipe they are actually considered a “vegan” cookie, but for myself.. Yes, vegan. However, they are packed with sugar, refined flour, preservatives and lord knows what else. 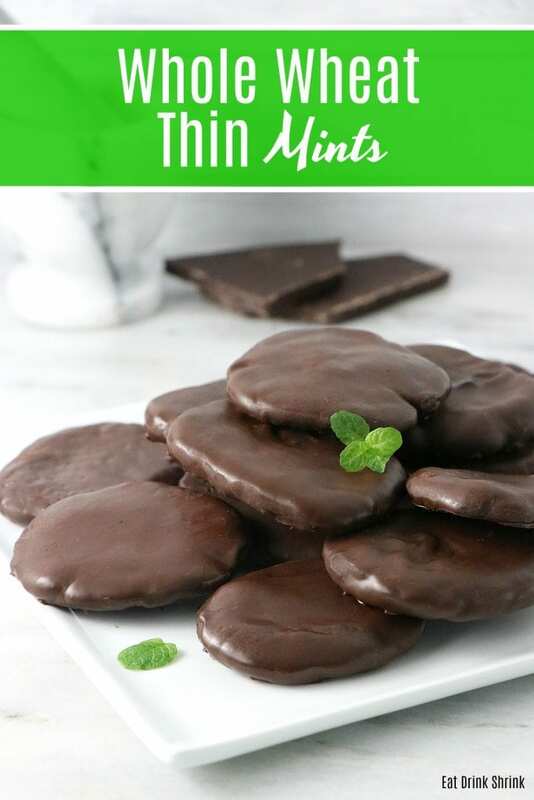 If the recipe for vegan Thin Mints were intricate, perhaps I’d opt for the packaged option, sure, but I can’t deny it.. They are just too easy and too good! What I love about this recipe is, everything! It has minimal ingredients, lower sugar, whole wheat flour, coconut sugar instead of white sugar, coconut oil instead of butter, is quick, easy, perf for any occasion, affordable, can easily be made in bulk and non vegan approved! 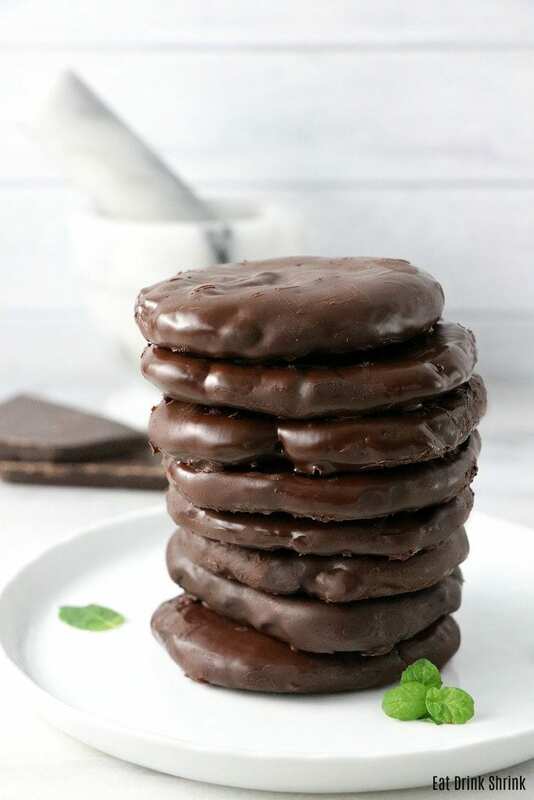 If you love homemade replicas of classic desserts or simply crave a vegan cookie that will become a staple in your home.. these vegan whole wheat Thin Mints are it! Better than the GS version! In a food processor, pulse flour, sugar, cocoa powder, salt, and baking soda until combined. Add coconut oil, milk, vanilla, and mint extract. Pulse a few more times until the mixture comes together. If it's still more of a dust, you can add almond milk 1 tbsp at a time. Transfer the dough onto a surface and with your hands knead the dough until it comes together and all the flour is incorporated. Chill the dough in the refrigerator for 1 hour. Preheat the oven to 350 degrees F. Remove dough from refrigerator. Roll the dough into a large cylinder like shape. Make Thin slices and press into the pan. 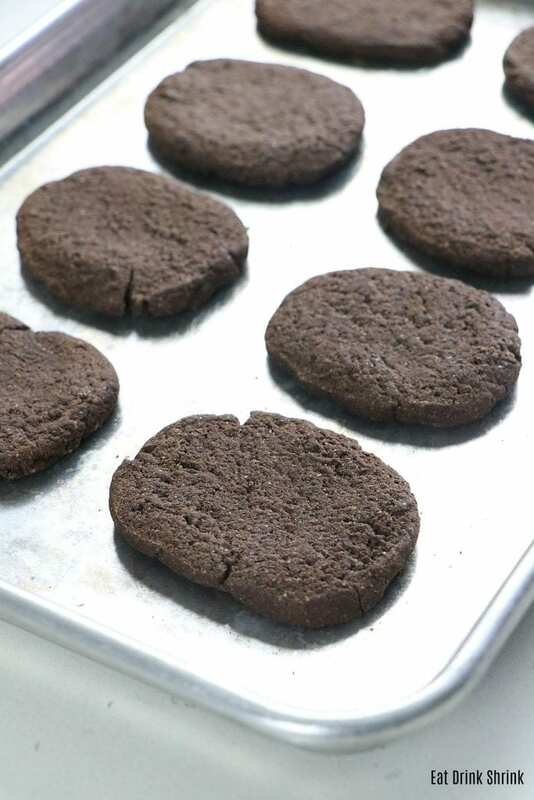 You want the cookies to be on the thin flat side as they will slightly rise but not spread a lot and they'll be coated with chocolate making them thicker. Bake for 12-14 minutes. Let cool completely. Coating: Melt chocolate chips and coconut oil in a microwave safe bowl for 1 minute, stirring every 10 seconds until fully melted. Stir in the mint extract. 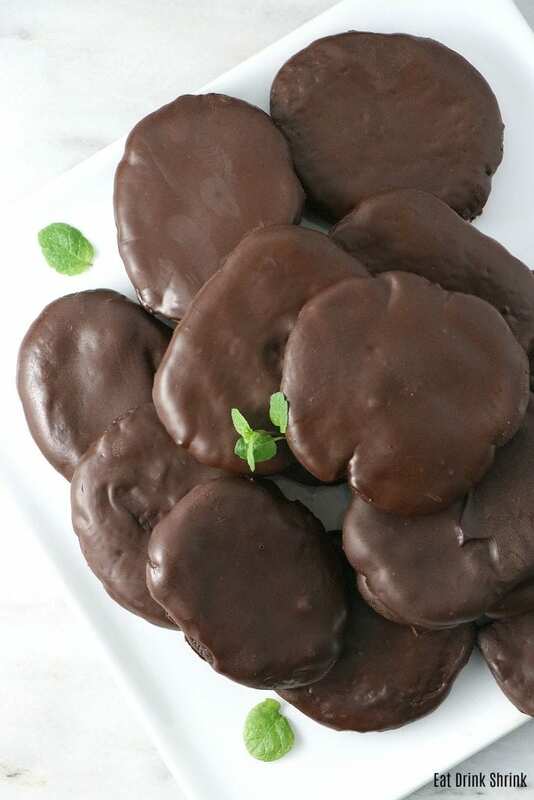 Dip completely cooled cookies into the chocolate with a toothpick or cocktail pin and let the excess drip off. 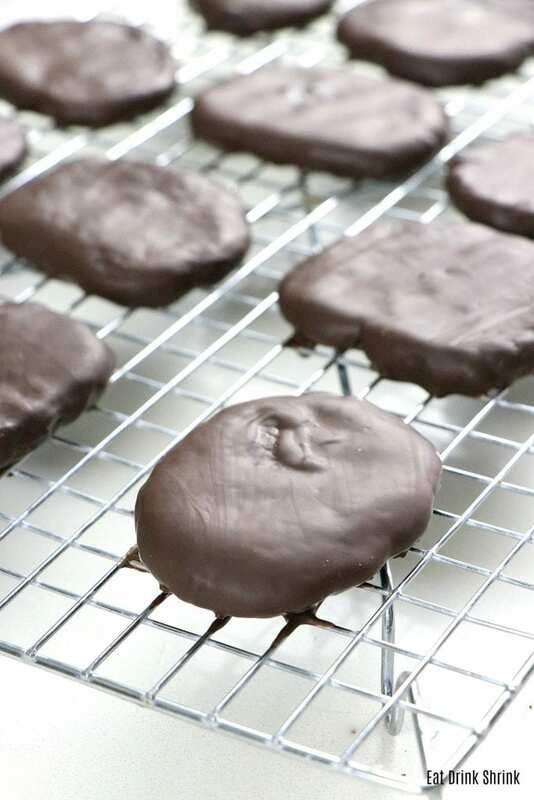 Place cookies on a cookie sheet and refrigerate until chocolate coating sets. Store in the refrigerator until serving.